Today I want to share with you my latest Fleurette Bloom card. "Batty for You". I thought it would be cool to put the sentiment under his wings.... that way the little "vampire" could draw you in for the bite! To close the wings, as you can see I just used a little pop dot. If you want to make the Bat like I did you will need to weld to the bat's body two wings and create score lines (as pictured above). I also created the white body layer by creating an internal offset and then used the print n cut feature of the Silhouette for the Sentiment. 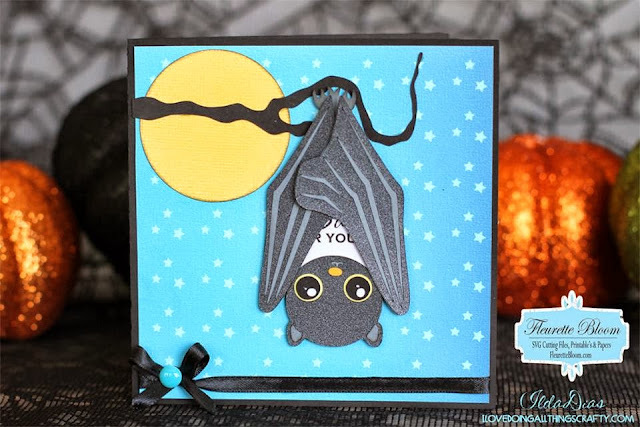 Here's a peek at the inside of the card, used more digital papers... love those spooky little eyes! So how "Batty" over this card are you? I love how it all came together... hope you did too! This is just super cute!! I love it. Thank you so much for joining us at Craftin Desert Divas “Halloween“ Linky Party. Oh, this is so clever. Love the card! So unique! Love this card , All of your designs are amazing !!!! 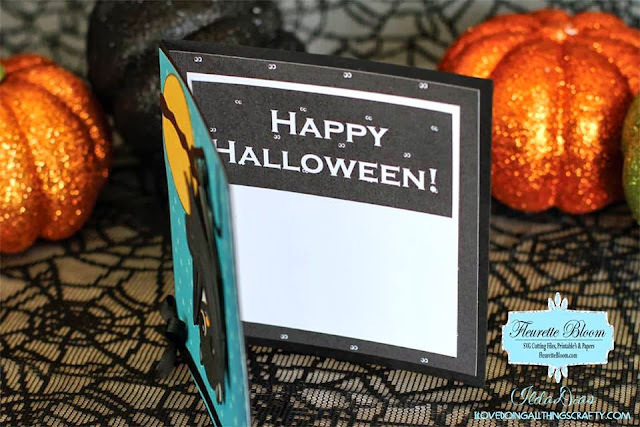 Thank you for joining us at Craftin Desert Divas Halloween Linky Party ! 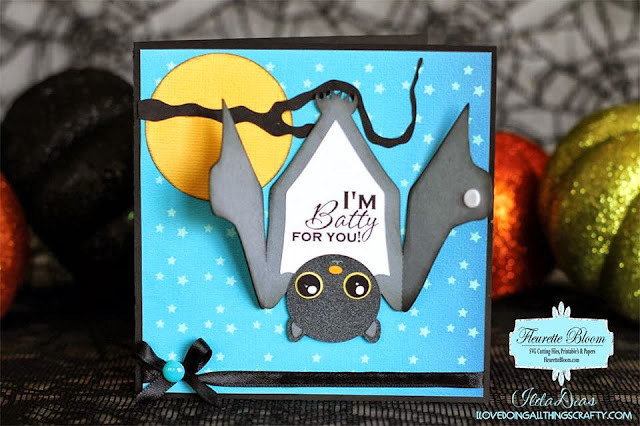 Way to go batty love how those wings reveal a sentiment, gr8t job and thanks for joining CTVS! Now this is just too CUTE! I love how the bat opens up for the sentiment! 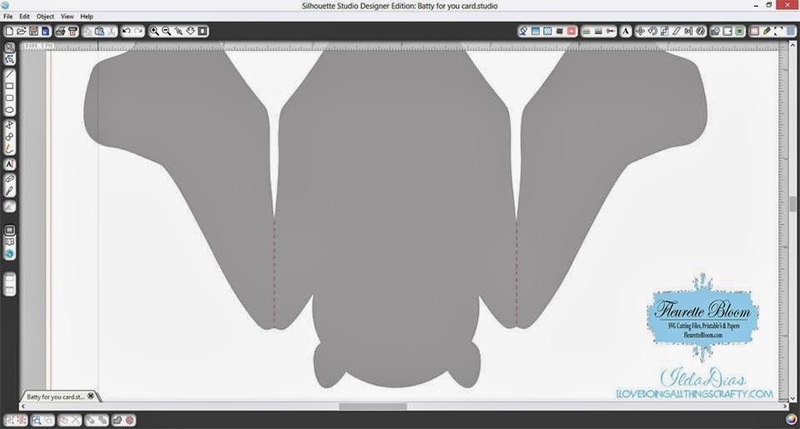 Thanks for playing along with us over at Silhouette Challenges! Faux Wood Block Signs - Happy Halloweek!